Brush up on your client consultation superpowers! What are your client consultations currently missing? A consultation is valuable for the therapist as well as the client, because it means you’re as informed as possible before delivering the treatment and the customer is as comfortable and knowledgeable as possible before the treatment takes place. But that’s not all an in-depth client consultation can do. It will also make the customer feel valued because you’re taking the time to find out more about them and what they’re expecting from the session, as well as giving them the chance to ask any questions or voice any concerns. 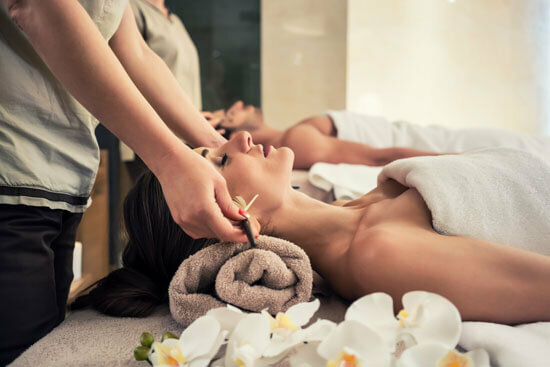 It can also increase the chances they’ll rebook their next appointment before they leave or even consider an upgraded treatment on their next visit. However, rushing through the consultation or skipping it entirely can have the opposite effect. Your client may exit your treatment room feeling disappointed enough never to come back and, if that’s the case, they’ll almost certainly tell their friends not to bother either. Sadly, it’s a situation that happens more often than most of us realise – in a poll conducted by Wella, seven out of ten salon clients voiced concern that their consultation hadn’t been in greater depth. Remember: no-one ever complained about being given too much information, particularly when it’s designed to make their experience even better. Always sit down with your client during consultations but avoid invading their personal space. Don’t fold your arms and legs but keep your body ‘open’ – this helps to unconsciously reassure your client that you’re being honest and direct and there’s nothing to hide. An open question is a question that will make your client give more than a simple ‘yes’ or ‘no’ answer. For example, asking a returning client if they were happy with their last session could get a ‘yes’ or ‘no’ reply, but asking how they felt about their last session should prompt them to tell you much more. Alternatively, instead of asking a client if they already know about the treatment they’ve requested (which could result in a ‘yes’ or ‘no’ answer again), ask them what they know about the treatment and why is it the treatment they’ve chosen today? Remember: you want to find out what your client’s expectations are, and you want to be sure that those expectations aren’t unrealistic. Don’t be afraid to ask questions. Active listening is something that will help you in all areas of your life and it’s especially important during a consultation. Remember: active listening doesn’t mean you can’t take notes. In fact, taking notes can reassure the client that you’re listening properly to everything they’ve told you. Just don’t forget to look up from your notes from time to time, smile and make that all-important eye contact. …and that includes being clear about the cost of the treatment too. Don’t wait until after the session’s over to find out there are misunderstandings. Address their concerns during the consultation and if there’s anything the client is unclear about or uncomfortable with, take the time to go through it again. If you remember this advice your client consultations should be more relaxed, productive and rewarding than ever. As superpowers go, your client consultation superpower is something you should never ignore!